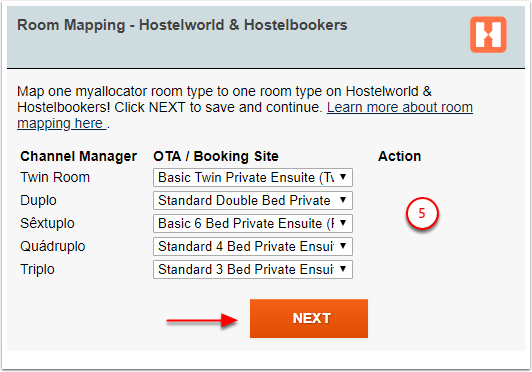 This article will show how to setup Hostelworld/Hostelbookers to connect with myallocator. As a reminder, Hostelbookers is now completely managed through Hostelworld. 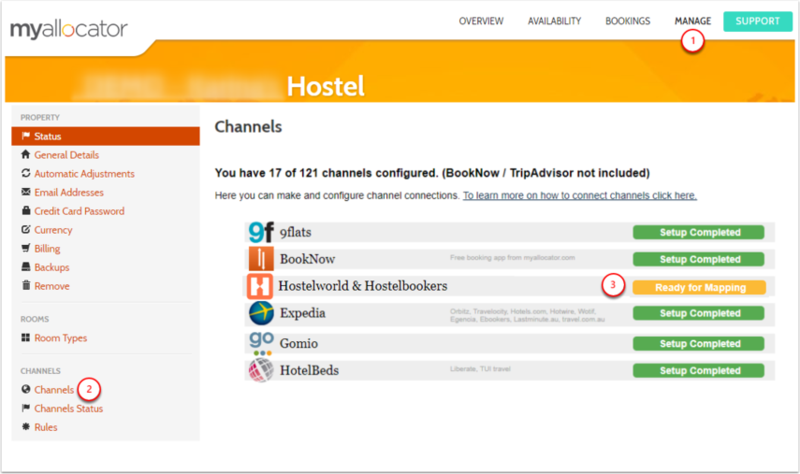 If you have a Hostelbookers account, it will be automatically connected and managed through your Hostelworld account inbox. 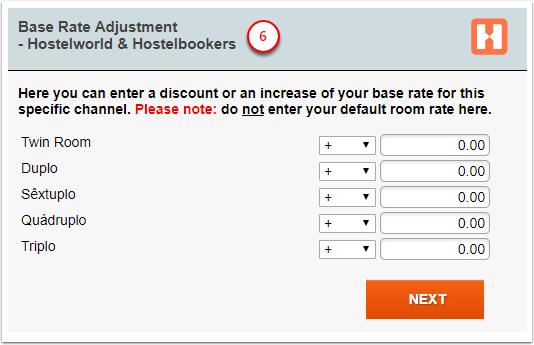 This means that Rates and Availability will be sent from myallocator, and will update both Hostelworld and Hostelbookers automatically, as well as downloading bookings from both Hostelworld and Hostelbookers automatically. If you do not have an account yet with Hostelworld, click here to setup your property with them first. Per Hostelworld: "All channel connection will be now handled by our account managers, account executives and sales executives (if new signup). All properties need to liaise directly with their account manager, account executive and sales executive in relation to their channel connection or eventual issues with room settings, rates, online availability and bookings". To Initiate the connection between Myallocator and Hostelworld/Hostelbookers, you must first contact your Hostelworld account manager. 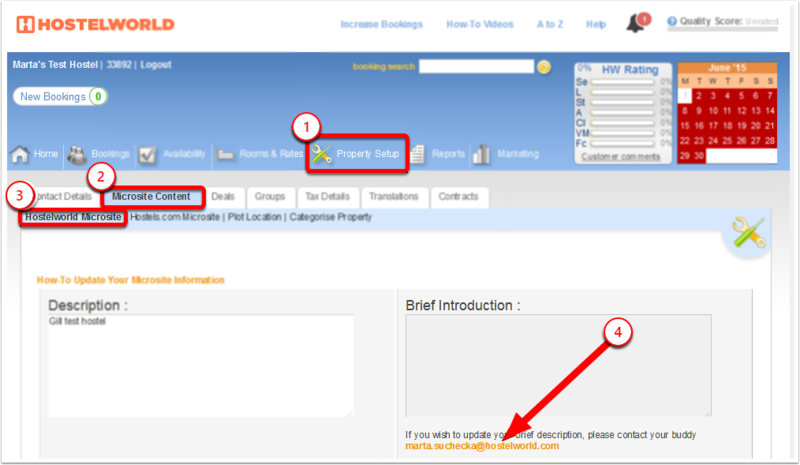 "Please activate the connection between Hostelworld/Hostelbookers and Myallocator for my property". 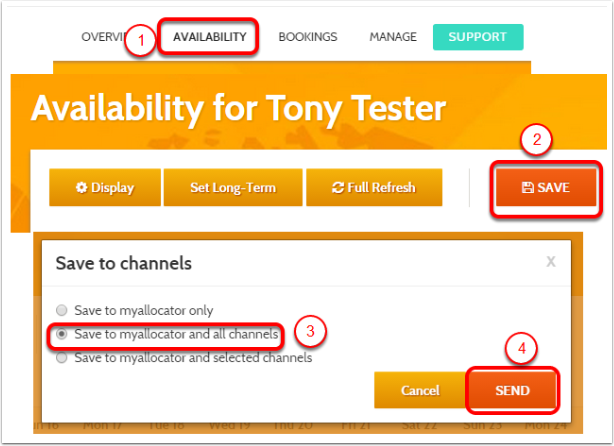 If you want to use our Import feature, when you ask your Hostelworld manager to enable myallocator as a channel manager, please ask them NOT TO DELETE YOUR AVAILABILITY in their inbox. Otherwise, there will be nothing to import. Hello Myallocator - this is Larry Smith from XYZ Hostel. Property "XYZ Hostel" is now active with Myallocator. Until the steps above are complete, we will be unable to connect your property to Hostelworld and will not be able to manage your inventory or rates. As soon as the connection is complete on both side (Hostelworld and myallocator) we will respond to your email with the next steps. It's strongly advised to send a full refresh now to make sure that availability and rates are fully updated on the channel. 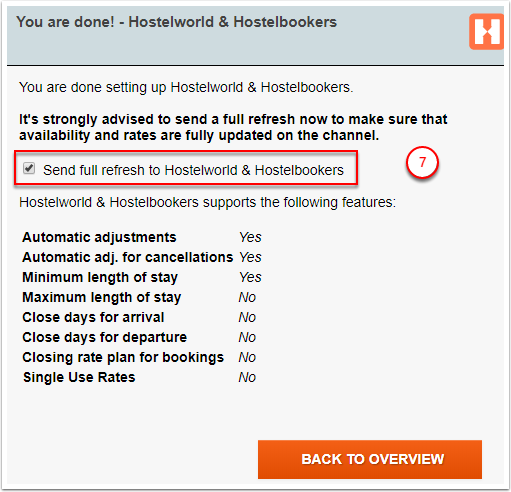 Please, keep marked the checkbox 'Send full refresh to Hostelworld'. This will erase any rates and availability which were on the channel before. Only do this once you have added the availability of this channel to your inventory.